“Social media marketing (SMM) is a form of internet marketing which seeks to achieve branding and marketing communication goals through participation in various social media networks”. Social Media is a shorter top level term that describes the space overall, and covers the activities around social interaction, content, videos, images and audio exposure. Many of us are so excited about technology and ther web that we forget key pieces to success: definition of business goals, objectives and overall process for execution. The old “fail to plan, plan to fail” comes to mind. While you need to create the roadmap for your online business – you must certainly decide on what goals and resulting metrics you want to attain. 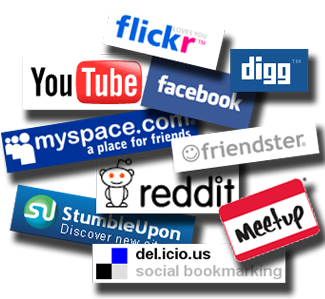 We will set up your social media accounts if they do not already exist. 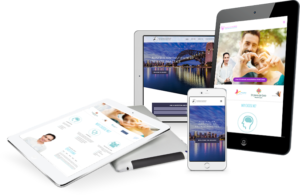 We will then build them into your custom designed Muskoka Graphics website so that traffic is driven back to your site and not the social media sites via a commonly used RSS feed. We will teach and coach you on effective use of these very important marketing tools to help you gain that advantage over others, which, in turn, will help grow your business!